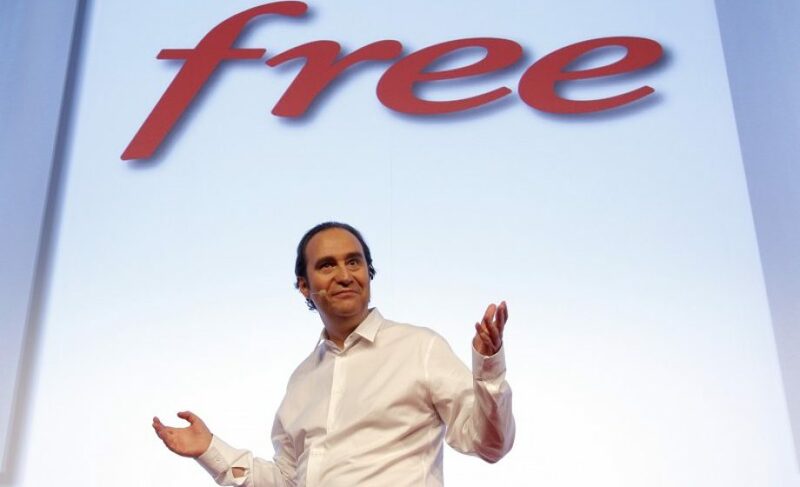 Last week, Iliad, Free’s parent company, announced some very big results, proving that despite Orange’s, SFR’s and Bouygues‘ fairly effective response to Free’s entry into mobile, Free’s momentum isn’t slowing. If anything, it looks to be picking up steam. Some of the big highlights were – a doubling of its market share to 10% in just one year; 720k new subscribers between April and June (which slightly exceeded analyst expectations) and 1,59 million in total during the first half of the year; a 88% increase in mobile revenues, which drove a 26.7% increase in Iliad’s overall revenues; and a 40% in EBITDA. These strong results are helping them continue on the path of achieving their long-term objectives, namely reaching +4 billion euros in revenues and 25% mobile market share in 2015. The fact that their margin improved to such degree is particularly impressive given their high level of marketing investment earlier in the year promoting their big €2 bonus offer in December and other new offers. In addition, it seems that their dependence on Orange (use of their network and antennas) is beginning to ease. According to Les Echos, as of June, 38% of Free’s mobile traffic passes via their own antennas (vs Orange’s), up from just 20% in December. This is primarily due to Free’s ability, starting this pas January, to benefit from 900 MHz frequencies, more effective for covering a broader area at a much lower cost. All of this apparently means that, as of June, Free has been able to cover 50% of its subscriber base. Apparently this also allows them to ease into the deployment of their own network, deploying first to those areas where the bulk of their customers are located and utilising their partner Orange for less populated zones. This offers them a real strategic advantage versus their competitors (Orange included). Although they have a laser focus on growing their mobile business as fast as possible, this hasn’t distracted them from continuing to develop their fixed line, triple-play business where revenues grew 9,2% in the first half of 2013, reaching 1.23 billion euros. Keeping their fixed business healthy and growing is obviously a priority for them as a signficant number of new subscriptions continue to come from their fixed customer base.